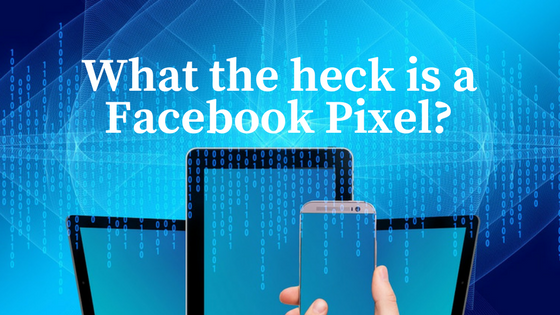 A Facebook pixel is used in Facebook advertising to measure online activities beyond the link click to your website. Measurement and tracking are crucial to successful tourism marketing campaigns and a pixel tracking code is the best way to get precise measurements. Most marketers have experienced pixel measurement elsewhere before. Have you ever sent an email newsletter, and later checked your open rate? Email systems use a pixel in your emails to know when the email has been opened. A pixel is a piece of code that activates when an email or webpage is opened, and tracks user activity. 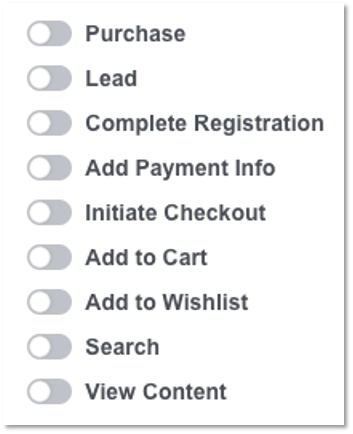 Within your Facebook Ads Manager, go to the “Pixel” section under “Measure & Report” to set it up. It will give you a piece of code to put into your website to track users’ activities. 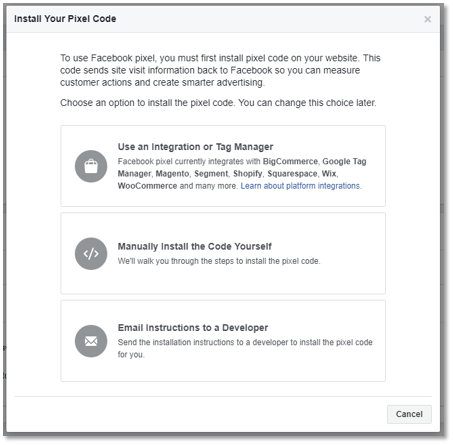 If you use a website builder, you’ll only need the Facebook Pixel ID, which is a string of numbers. Builders like SquareSpace or Wix need the ID in the settings, and it’s easy to search for instructions. For WordPress you’ll need a plugin, I prefer the one made by PixelYourSite. 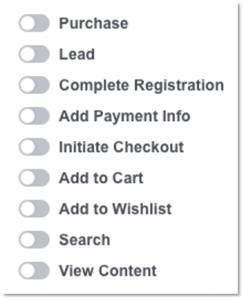 Once the Facebook Pixel is on your website, there’s still more to do to be setup for your campaign. 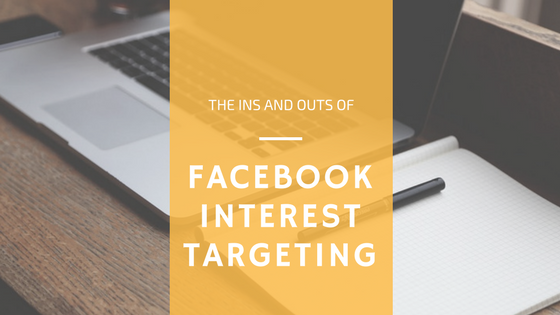 This is where you set up for precise measurement of your ads. For tourism, I’ve used these events to track map downloads, and inquiries on packages and brochures. You can also track purchases if you have an online shopping cart. Facebook calls these “Events” and there are several to choose from. Where do you want to set up your event code? The event code goes on the last page a consumer reaches when they’ve completed the desired action. For example, on a getaway package inquiry form, install the code past the point of the form submission. Put the code on the “submit” button or on a “thank you” page that comes up after submitting the form. Before you begin running your ads, it’s important to test that your pixel and events are working correctly. 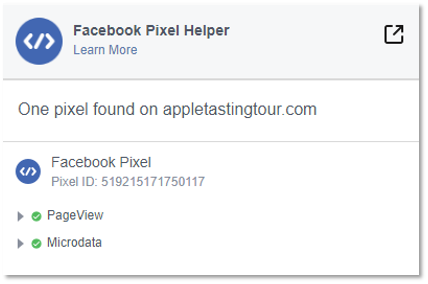 Facebook developed a tool for the Google Chrome Browser called the Facebook Pixel Helper that tells you when a Facebook Pixel is active on a webpage. Test that it works on your home page, your campaign landing page, and especially on pages with an “Event” to track. You may need to submit a test form or complete the action yourself in order to test it. When it comes to Facebook marketing for tourism, pixel technology is very helpful not only for tracking, but also for building Facebook target audiences. Once the pixel is on your site, Facebook will have access to a ton of data that you can use. You can add people to your audience that have visited a specific page on your website or exclude people who already completed the action you wanted them to take. You can also create a lookalike audience of people who converted into a sale or who have visited the website. You can even make an audience of people who came to your website, but didn’t complete the action yet. In 2017, we used Facebook Pixel tracking to measure campaign activity for the Haunted History Trail of New York State. Every year, the trail produces a brochure and aims to broaden awareness through its distribution. We installed the code on the website and the “thank you” page consumers reach after they request the trail brochure. We built target audiences around their top drive-to markets. I kept track of the results coming in from Facebook, and also how many inquiries came in to the site overall. In New York State alone, 83% of the brochure inquiries from April through July came through our Facebook ads.